Q. TA-65 sounds too good to be true. How do I know this is not just snake oil like other so-called anti-aging products? A. TA-65 has been proven by outside, 3rd party laboratories to activate telomerase. Leading biotech company, Geron, discovered TA-65 and licensed the technology to T.A. Sciences in 2002. Geron is a half-billion dollar company and is acknowledged in the scientific community and on Wall Street as the world leader in Telomere Biology. In 2005 T.A. Sciences did a Pivotal Anti-Aging Trial that statistically shows what real people experienced from TA-65. This was a double-blind, placebo controlled study with data interpreted by Stanford University statistician and Ph.D., Dr. Jochen Kumm. Since 2005, thousands have taken TA-65 with no untoward reactions and fantastic anecdotal results. Dr. Park was himself one of the earliest patients to begin the regimen in 2007 and only the third MD in the world to offer it to patients. Q. Who monitors the results of the Patton Protocol clients? A. In addition to Dr. Park and the staff at TA Sciences, Dr. Calvin Harley, Geron’s former Chief Scientific Officer and who first discovered the link between Telomeres and aging, works closely with T.A. Sciences. T.A. Sciences has also close working relationships with several other world’s leading Telomere Biologists such as Maria Blasco, William Andrews, Rita Effros, Richard Cawthon, and Peter Landsorp, just to name a few. Q. If TA-65 is from the Astragalus plant and Astragalus extracts are available in vitamin shops, why not just buy those? A. To answer this question, T.A. Sciences purchased four commonly available Astragalus extract products and had them tested to verify how much, if any, TA-65 is present. In all four cases, the testing lab could not detect any TA-65. 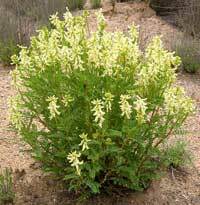 Their assay is accurate to one part per million.This is not surprising because the TA-65 molecule, while present in the Astragalus plant, is very rare. It literally takes tons of the plant material to make a small amount of pure TA-65. Q. Is FDA approval required? A. TA-65 is classified as a nutritional supplement, not a drug. TA-65 activates telomerase and this helps keep cells functioning in a normal and healthy way as we age. It is not a drug and we make no claims that it prevents or treats any disease. FDA approval is not required for nutritional supplements. Q. What age should I start? A. Anyone older than age 25: after age 25, all measures of cellular and organ function begin to decline, as a result of stem cell damage, known as AGING (see PODCAST 2: Aging). People who should start taking TA-65 at age 25 include those who make a living looking good (i.e., movie stars, models, sales people), people who need to perform at a consistently high level (i.e., professional athletes, fund mangagers, lawyers, teachers, surgeons, singers and rock stars on tour), and people who endure a great deal of stress (i.e., CEO’s, law enforcement officers, currency traders, and parents of children with disabilites). Just as ‘an ounce of prevention is worth a pound of cure,’ telomerase activation with TA-65 has shown to be more effective in younger mice than in older ones.